Anna is a Senior at Schenck High School and has attended Region III for 2 years through the Bridge Year Program. Anna says she enrolled in Construction Technology because she wanted to learn something she had no prior experience in and wanted to have a skill that could help her later in life. She says that she likes the hands-on learning that she gets from her class and went from not being able to build anything to being able to make desks and other elaborate pieces. 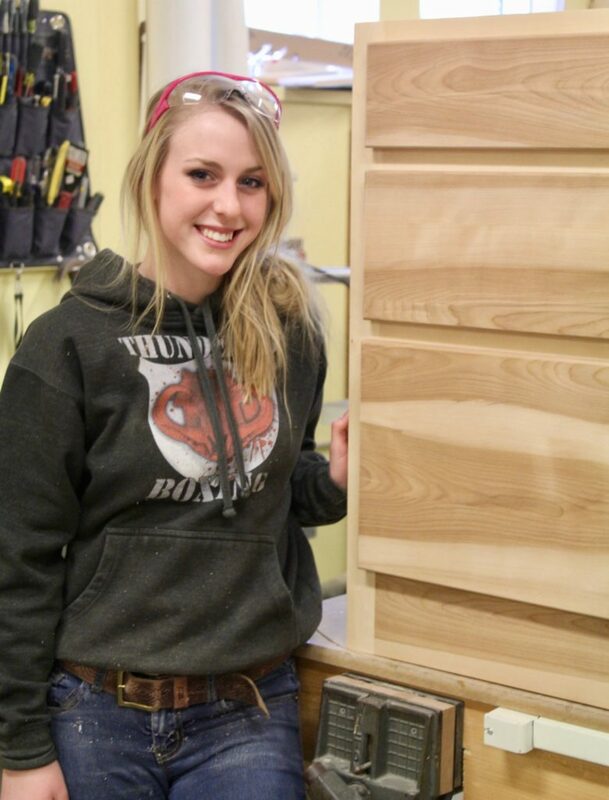 Anna represented Region III at the State Skills USA competition and earned the Bronze Medal in Carpentry Knowledge. She is looking forward to representing our school again this March and hopes to win the Gold! Next year, Anna plans to attend the Naval Academy Prep School (NAPS) on the naval base in Newport, Rhode Island for a one-year program to prepare herself for the Naval Academy class of 2022. This is a school with a 9% acceptance rate which provides an educational scholarship worth $400,000. We’d like to congratulate Anna on her accomplishments and we look forward to hearing about her success in the future!